• Load Release System gliders, safety and anti-tampering application. • Specially developed for the care and prison sector. 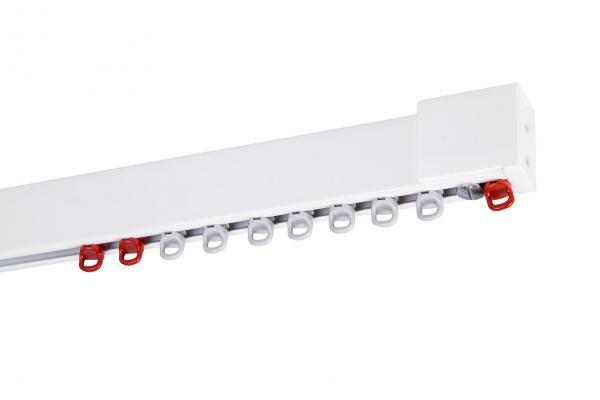 • LRS gliders enable the controlled release of curtains from the tracks. • The gliders can rotate in the track and are fitted with a flexible and yet strong glide foot. • When used normally, the LRS glider acts as a standard glider. • When subjected to a sudden and/or heavy load, they release from the tracks. 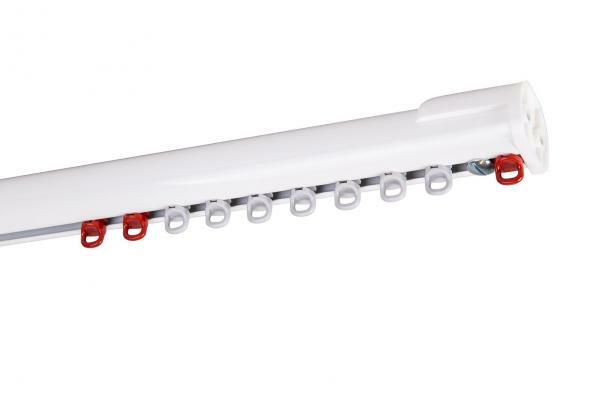 • These gliders also ensure that the track cannot detach from the ceiling if the curtain is pulled. • Suitable for different tracks for widely ranging areas of application. For more information, please contact Goelst NL. LRS gliders are red and grey; the grey ones are the easiest to release from the track. When subjected to a gradually increasing load, the grey glider requires a force of approximately 8kg to release*. The force required for a red glider to release is approximately 12 kg*. These are extreme values and for normal use we advise a maximum load of 0.5kg per glider. To calculate the maximum curtain weight in kilograms that can be supported, divide the number of gliders by two. When subjected to sudden shock loads, other values apply. By way of comparison, after dropping 5cm, a weight of 0.5kg has sufficient force to push a grey glider out of the track. For the red glider, 1kg is required. The difference between a gradually increasing load and a sudden shock means on the on hand that LRS gliders can also function as a standard curtain glider. On the other hand, it also causes an unzipping effect when one glider is subjected to a sudden load and comes out of the track. If the curtain package is viewed as a whole, the forces acting on individual gliders cannot be added together. One glider will always come loose first and this will cause an “unzipping” effect. *The specified weights may deviate as a result of ageing – and/or drying out of the plastic due to placement in “highly” humid surroundings or the effects of fluctuating temperatures. Depends on the specific area of application. In connection with liability and ongoing technological developments, we request you to always contact Goelst NL before installing LRS gliders. LRS gliders are used for specific applications. Please contact Goelst NL for advice tailored to your situation. Copyright 2018 GOELST NL B.V.